There is a sound body of knowledge related to the Western naming (from Dutch, French and English origin) of the geographical areas in the Swan Colony, (e.g. Rienits, 1971). However, little is known about the Indigenous names used to describe this area. Most of the research on Nyungar heritage has been around language and linguistic issues (e.g. Douglas, 1976), history (e.g. Green, 1984; Haebich, 1992), social issues (e.g. the stolen generation, see Haebich and Delroy, 1999) or native title (e.g. Bennell v WA, 2006). The interpretation of Nyungar placenames can inform a better understanding of the Australian environment and culture in a unique way. It can build Australian identity, sense of place and attractiveness to the rest of the world. It also addresses a growing interest in fostering Indigenous knowledge for non-Aboriginal Australians and international visitors to the South-West – anecdotal support from tourism operators and land developers indicates that there is considerable interest in local Aboriginal culture/s but only a few cultural centres in the region that showcase local Nyungar culture and provide access to cultural information for purchase (Collard et al., 2007). 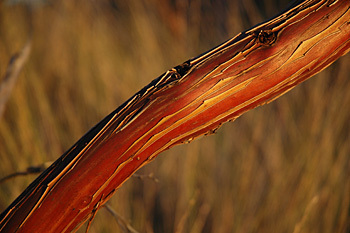 Western Australia’s South-West is unique in the sense that its Nyungar languages have contributed significantly to the naming of geographic places such as Karrinyup, Yokine, Yallingup and Nannup. Landgate estimates that more than half the geographic placenames are of Nyungar origin (Goodchild, 2010). The need to understand the role of Nyungar culture in contemporary Australia is evident. Discussions are underway for the development of a Nyungar Cultural Centre in the City of Perth on the banks of the Swan River, and the South West Aboriginal Land and Sea Council (SWALSC) and Swan River Trust are undertaking work to map the meanings of Nyungar name places in and around the Swan River. The proposed double naming (in English and Nyungar) of rivers, swamps and natural phenomena along the Perth–Bunbury freeway further emphasises the interest. Information collected from this project will be valuable for conserving and protecting Nyungar culture, heritage and meanings of the local Nyungar places. This project addresses an area that previously was neither well researched nor publicised. Innovative research utilised Indigenous knowledge systems in collaboration with western approaches and employed Indigenous language, society and culture as a framework. The project provides a practical approach to understanding country and sense of place, which can lead to reconciliation. This project is a showcase for Indigenous sustainability capacity and long-term knowledge generation and management. Because of its nature, it meets the ARC Indigenous Discovery goal, namely Strengthening Australia’s Social and Economic Fabric.